Buying meat that is healthy, safe and affordable for your family shouldn’t be hard. But when you’re actually standing at the butcher counter, trying to decide what to buy, it can get pretty overwhelming. The options seem endless – from grass, grain or vegetarian-fed to organic and hormone-free. Plus, you have to see what’s actually available and then there’s the price to consider. And the answer is YES. Every single time. In fact, choosing grass-fed and finished meat for your family is one of the most important choices you make on your journey to better health. You may have never considered what the animals you eat have eaten themselves (for many years, I didn’t think about it, either). But the fact is…. it matters. When you eat an animal, you’re not just eating meat – you’re also consuming the remnants of everything that animal has eaten (food, medications, chemicals, etc). Generally speaking, we want the animal to be as healthy as possible and this largely depends on what it eats (just as it does for humans). Cows were meant to eat grass, not grain. The minute we begin to stray from that is when problems arise and overall health of the animal declines. At this point, hopefully you’re more concerned with what the animal is eating (or not eating in some cases) than you were before and that’s a good thing. You should know and care, as it directly affects your health and the choices you make when it comes to buying and consuming meat. 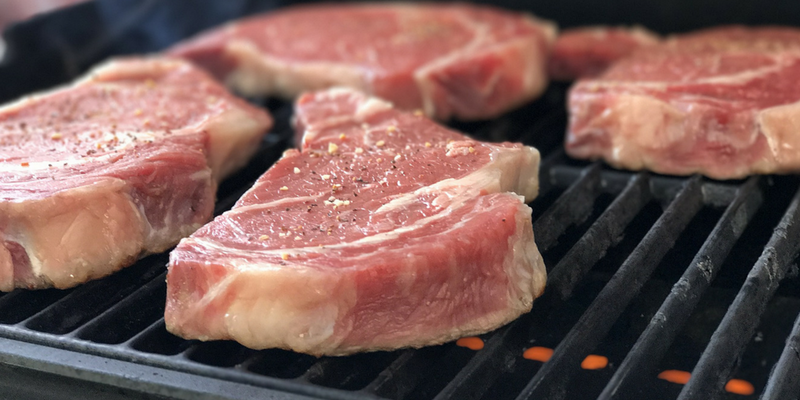 Instead of overloading you with mounds of research that supports grass-fed meat, I’d like to shed some light on what you’re getting if you choose conventional meat – like the stuff you’d buy at your local grocery store. The majority of meats found in grocery stores are a product of animals raised in a “concentrated animal feeding operation,” or CAFO. CAFOs are a specific type of large-scale industrial facility that raises animals – commonly referred to as “feedlots.” If you’re driving down the freeway, you usually smell these CAFOs before you see them – hundreds, even thousands, of animals packed into tight pens. What is the main goal of such an operation? It’s to mass produce meat for the lowest possible cost, which means getting cattle fat and ready for slaughter in the least amount of time and space. Cattle are ruminant animals – meaning they’re built to eat and digest grass (and have 4 compartments in their stomach to achieve complete nutrient absorption). But, CAFO cattle are expected to grow fast and a natural diet of grass takes too long and requires too much grazing space. Instead, CAFO cattle are fed an unnatural diet of genetically modified soy, corn, and by-product feedstuff (even things like rotten food the grocery stores throw out). While this type of diet does help cows fatten up more rapidly, it causes other serious problems. Because the cattle are designed to deal with grass, not grain, soy and random by-products, they’re unable to properly digest and absorb these “foods.” As a result, they often develop diseases such as rumenitis and “feedlot Polio.” Sadly, it’s actually considered “normal” for feedlot cattle to be sick. Not only are CAFO cattle kept from the green pastures they were meant to forage on, but sunlight and exercise are scarce. Just as humans need these two variables to thrive, so do animals. Instead of having room to graze, these cattle are kept in small pens with little space to walk around. On top of that, they’re forced to stand knee-deep in their own excrement. The use of antibiotics for cattle began in the 1940s. What started as treatment for sick cows quickly became a standard treatment for all cattle when studies revealed antibiotic use led to more efficient weight gain. Antibiotics not only promote fast growth, they are also a critical tool for fighting diseases that spread rampantly in feedlots. 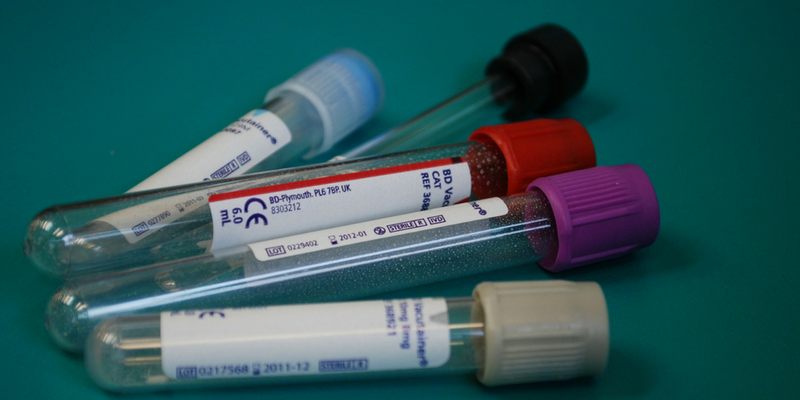 The most common disease affecting CAFO cattle is acidosis – a potentially life-threatening metabolic condition which occurs when too much acid accumulates in the rumen as a result of a high-grain diet. Acid in the rumen can lead to rumenitis (inflammation of the stomach) and ultimately a liver abscess. Liver abscesses allow bacteria to pass through and enter the bloodstream and it’s estimated that 12 to 32% of all feedlot cattle develop liver abscesses. The solution? Yep, you guessed it – a round of antibiotics to combat the infection to ensure the animal is well enough to become part of the ultimate end goal (cheap meat, fast). Unfortunately, antibiotic use is only expected to increase, as a 2015 study predicts antibiotic use in livestock will likely rise 67 percent by 2030. Big corporations would rather you not know this type of information, and that’s one of the reasons it’s so important to stay informed. This isn’t just dangerous for feedlot animals – humans use a lot of the same antibiotics. And when the antibiotics stop working, they can no longer be used as a life-saving intervention for anyone.These antibiotic-resistant “superbugs” can be spread to humans via food, contaminated water, insects, air, and direct contact with the animal or manure. Researchers estimate approximately 75% of antibiotics administered to animals are not actually absorbed but rather excreted in waste where they have a much greater chance of encountering new bacteria, exchanging DNA, and creating resistant strains. Despite industry claims that 40% of all antibiotics used on farms are drugs unrelated to use in human medicine, this study shows that use of monensin (a bovine antibiotic) led to a 32-fold increase in resistance to bacitracin – which is used in human medicine. Antibiotic resistant bacteria are a huge issue in the United States – the Centers for Disease Control and Prevention reported more than 2 million Americans become sick and more than 23,000 die per year due to resistant bacterial strains. After reading all of this, you may be wondering if meat is just better off left out completely. Grain-fed, conventional meat from cattle raised on CAFOs? You may be better off avoiding it. But, sustainable, grass-fed meat – while not only tasty – is an important food for a healthy gut and feeling your best. Complete Protein – All 9 essential amino acids (these must be obtained from food) are present in meat (unlike plant proteins). It’s imperative to get enough protein to both heal and stay healthy. While plant foods do contain protein, they don’t contain all 9 essential amino acids – meaning no single plant is a source of complete protein. Conjugated Linoleic Acid (CLA) – This nutrient powerhouse must be obtained through the diet (our bodies can’t make it) and it helps to fight cancer, build muscle, and maintain a healthy weight. 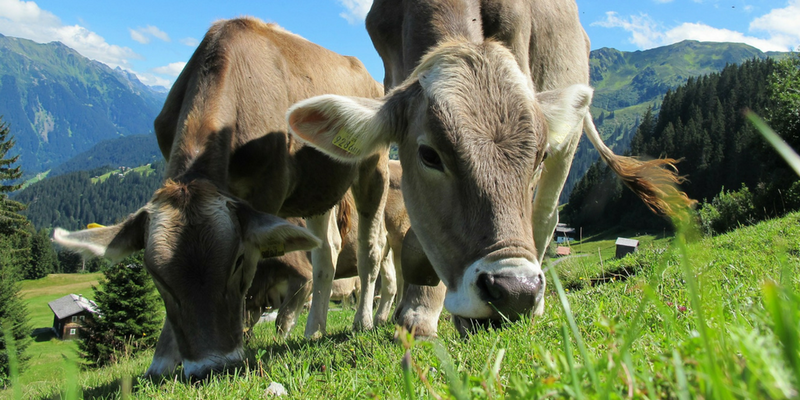 Grass-fed beef contains anywhere from 3 – 5 times more CLA than it’s grain-fed counterpart. Antioxidants – Grass-fed meat is also high in precursors to cancer-fighting antioxidants like glutathione, vitamin A, and vitamin E.
Omega-3s – Grass-fed meat has 3 – 5 times more omega-3s than grain-fed meat and the omega-6 content of grain-fed meat can reach as high as 20:1 (omega-6:omega-3). A diet dominant in omega-6 is one of the largest contributors to numerous chronic diseases today. When you cut meat out of your diet, you have to rely on other food groups to make up for the missing calories. Typically, this leads to an increased consumption of grain… and we all know where we stand when it comes to grain and healing your gut. With careful planning, a vegetarian diet can work for some people – but in our own experience and research, the majority of healthy people include a wide array of foods in their diet – including sustainable, grass-fed beef. 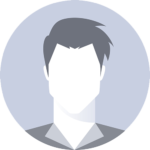 We believe in the concept of individuality and empower our followers to do what is best based on their own unique needs. These tips are here to help you decide what is best for you. 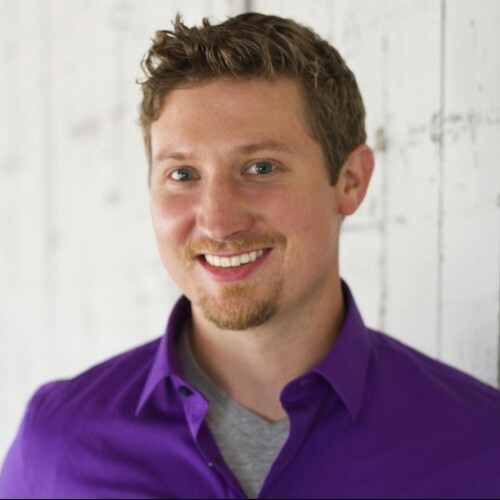 Quality – It matters, big time. It’s no surprise when we hear people say things like “I feel so much better when I don’t eat meat.” It’s almost always because they are consuming poor quality, inflammatory meat rather than grass-fed meat. Proper stomach acid levels – We need plenty of stomach acid to break down the peptide bonds in meat. If you don’t have it, you may get that heavy feeling after you eat meat (and then assume it’s the meat that’s making you sick). It’s important to first check your stomach acid and then supplement with Betaine HCL if needed. Quantity – How much meat should you consume? The answer is different for everyone, and this is where you get to decide what is right for you. If you’re training vigorously, perhaps you’ll need to consume meat multiple times per day to meet your body’s demands. Or maybe you’re just starting on your health journey and can only handle meat a couple times per week. We know how important the quality of meat is but, as we’ve established, the cost can be a real challenge. After years of searching and trying different brands, we’ve found just what we were looking for – high-quality meat at an affordable price. So, let’s go back to where we started – you’re standing at the butcher counter in your grocery store. Or maybe they have a small selection – but it’s double or even triple the price of conventional beef. So what do you do? You’re not the only one who’s been in this position. The demand for affordable grass-fed beef is growing. But new companies like Butcher Box are meeting that demand and making it easier to eat meat the healthy way. Butcher Box offers a subscription service that delivers 8-11 pounds of grass-fed beef, organic and pastured chicken, and heritage breed pork right to your door. Each delivery has enough for 20 individual meals, working out to less than $6.00 per meal. And if you don’t eat much meat? You can have the box delivered at your desired frequency – and pause or change your subscription any time. That means whether you’re a family of six or live alone, Butcher Box can work for you. Butcher Box works with small farms who treat their animals (and the planet) with respect. It’s meat you can feel good about eating and a company we’re excited to support. 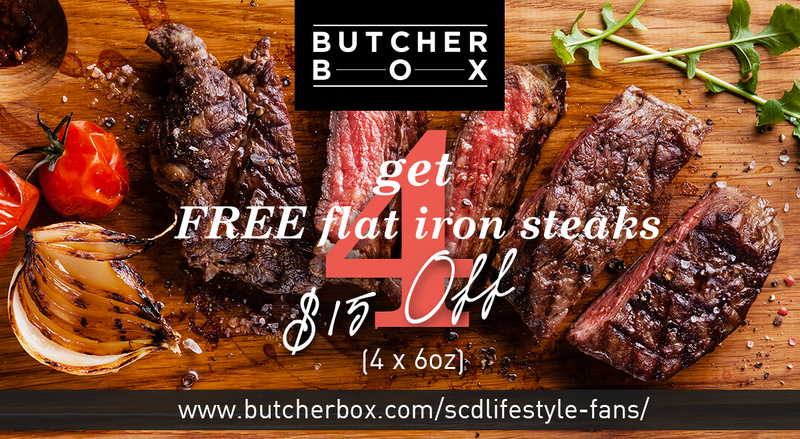 Right now, Butcher Box is offering a special deal just for the SCD Lifestyle community – $15 off your first order PLUS 4 FREE 6 oz. flat iron steaks for a limited time only. And every Butcher Box order ships for FREE. I’m so excited for you to try Butcher Box – take advantage of the discount and the free flat iron steaks until 9/19 and let us know what you think! P.S. – This offer expires at midnight PST on 9/19 so don’t miss out! Hi Marie- This is exactly what Butcher Box is great for! They have smaller boxes for those who simply don’t have the space. We’d suggest giving it a try! I don’t usually eat meat because I am more on fruits and veggies, but I then I realize that these food I eat are not complete without eating meat. Can’t wait to have this Butcher Box :).